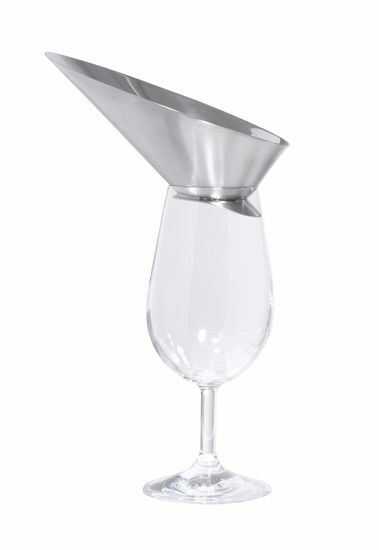 For glasses and carafes. 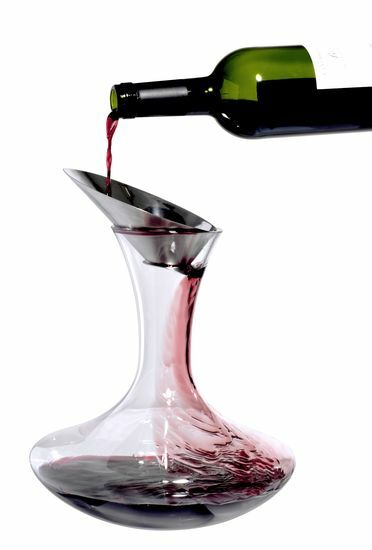 Finally, each person can have a glass or carafe of wine aerated according to their personal tastes. 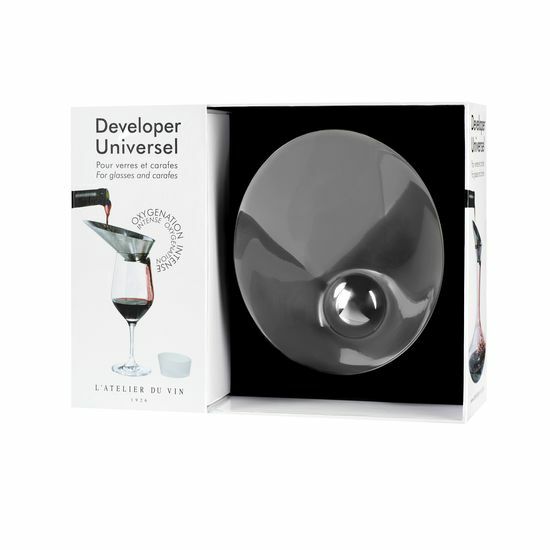 While running inside of Universal Developer®, the wine is gently oxygenated and fully releases its flavours. 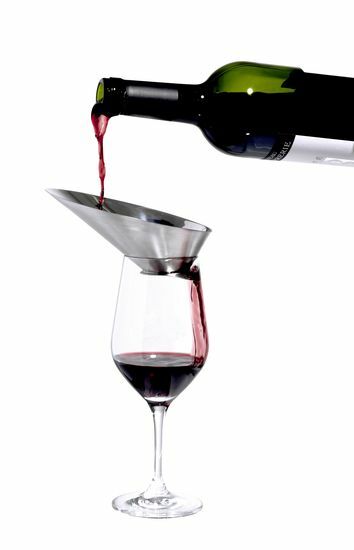 The Universal Developer® comes with a glass base, designed for use at the table to avoid staining your tablecloth.
. Tasting is optimized: no need to fill up a carafe that you won’t finish.
. Can be adjusted according to the tastes of each person: for intense oxygenation, Universal Developer® can be used once into the carafe, then a second time into the glass. Recommended in particular for young wines (less than 3 years), both red and white. 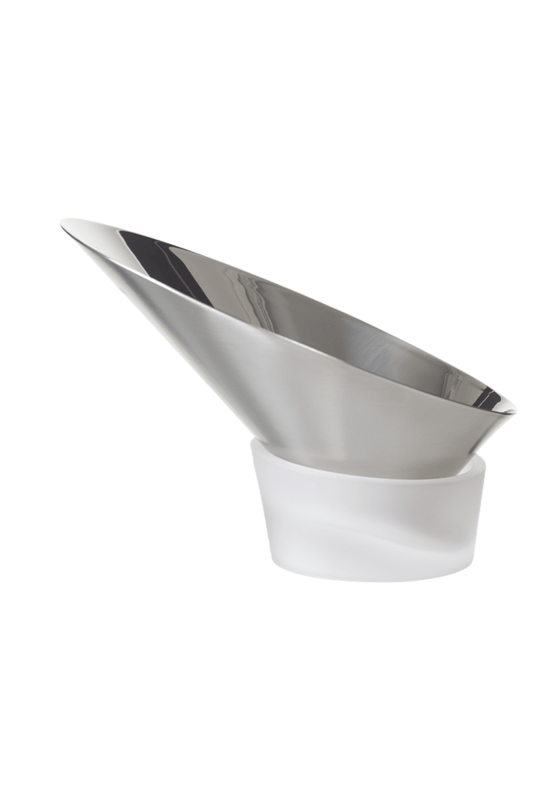 Adapts to the majority of wine glasses and carafes.
. Universal Developer®: Made from stainless steel. Design patent. L 13.2cm x W 11cm x H 5.5cm.
. Base: Made from pressed glass. Diam. 6.3cm x H 2.7cm.